Do you guys know how switching seats works on a flight? I have my seats set, going to NY no one has taken the middle seat next to me, so I wont change that hopefully it stays that way. On the flight back I am not so lucky, but there are seats open with no one in the row as of yet. If I print my boarding pass when its 24 hours out, does that mean I am set in my seat selection, or could I change the seats after that, lets say at the terminal. Or do I just change seats at the last minute, then get my boarding pass? Easiest way is to check in via the airline's app on your phone and you can change your seat up to an hour or two before departure - at least with United and Delta. Plus, your boarding pass is on your phone and don't have to worry about losing it. I also recommend going to www.seatguru.com to look at what seats are good and bad. I haven't flown any other US airline other than United and Delta, so don't know specifics about any other airline apps / policies. Will Dignis be at CanJam? I am interested in their earphone cases, but would like to see them first. Thank you. I don't recall seeing Dignis at any CanJam outside Singapore, but there are a number of manufacturers who either include Dignis products with their gear or separately as accessories. Thank you. Do you know who those manufacturers are? I had wanted to see the Dignis Arca leather case. Tks. I may stop by Audio 46 and In Living Stereo on Friday. ralphp@optonline, JasonNYC, K1030 and 1 other person like this. Yes, kids 12 and under are free. See you soon! It's NYC T-Shirt time! Please reply to the thread with your T-Shirt pre-order by Monday, February 11. Please note that the T-Shirts are US sizing. CanJam NYC T-Shirts are $20 and can be paid for with cash (no fee) at the Registration Desk or via credit card (plus $1 processing fee). All T-Shirt pre-orders will be both picked up and paid for at the show, although we must have your reservation now in order to guarantee your shirts. 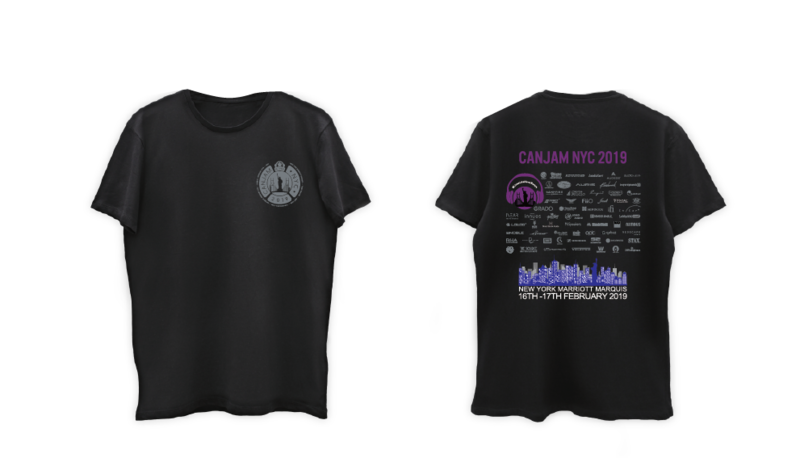 The deadline for T-Shirt pre-orders for CanJam NYC 2019 is Monday, February 11, 2019. CanJam Global 2019 volunteers do not have to separately order their T-shirts as we will be providing them directly. Free t-shirt for Wata should be mandatory. Rich people on my flight, only 4 seats left in mint. I could just go all Bruce Lee on them, I know Karate and 7 other Japanese words. Ugg, I might be catching a cold. I guess better now than in 2 weeks. I usually get sick once a year in Jan.